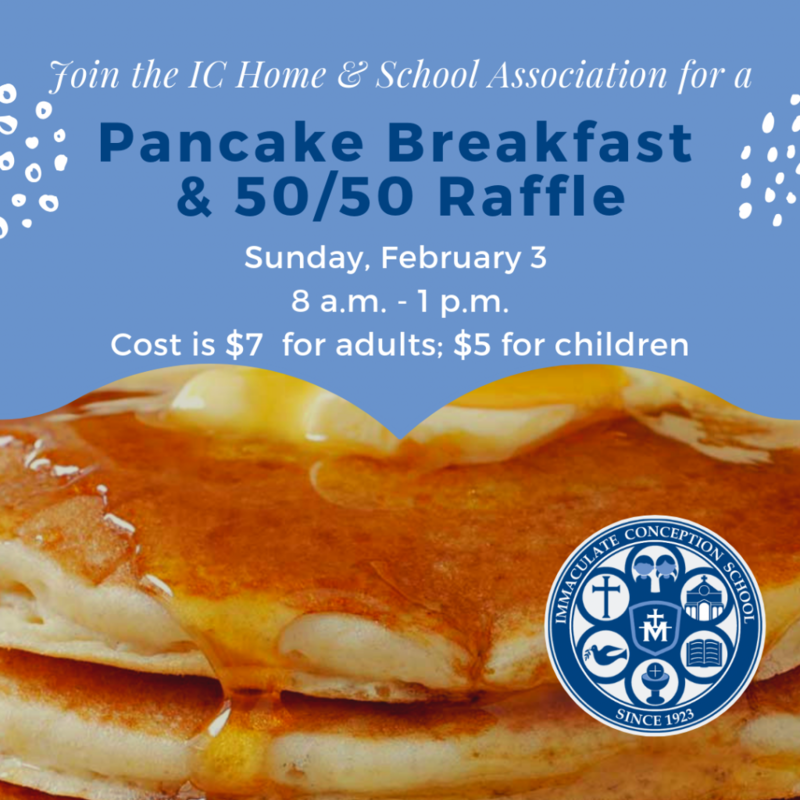 Bring your family and friends for some food, fellowship and fun at the annual Home and School Association’s Pancake Breakfast on Sunday, February 3 from 8 a.m. – 1 p.m. in Marian Hall. Columbus’ favorite pancake flipper Chris Cakes will be flipping all-you-can-eat hotcakes served with sausage, juice and coffee. Eggs will be available a-la-carte. The cost is $7 for adults and $5 for children and seniors. We hope to see you for this annual, community-building event!